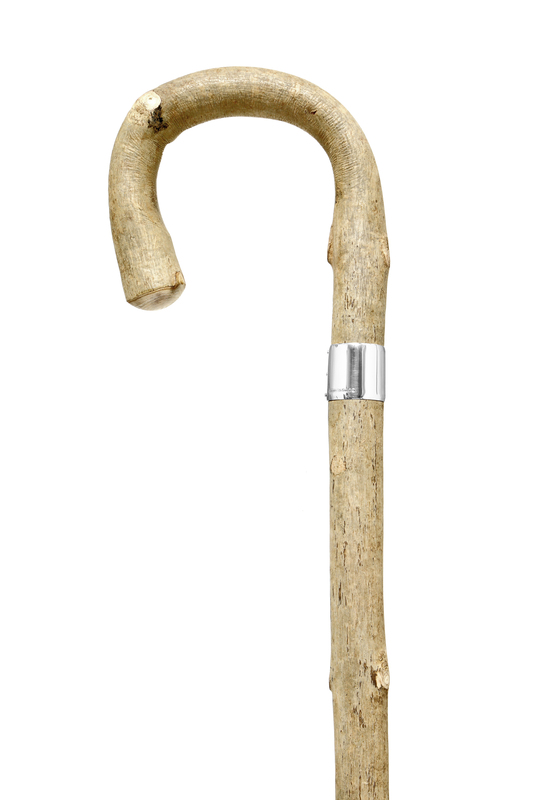 A traditional crook handle country stick made from an selected piece of Somerset ash and fitted with a Sterling silver lap-band. With a grey bark, often with green tones, this strong wood is a durable walking accessory long associated with the English countryside. 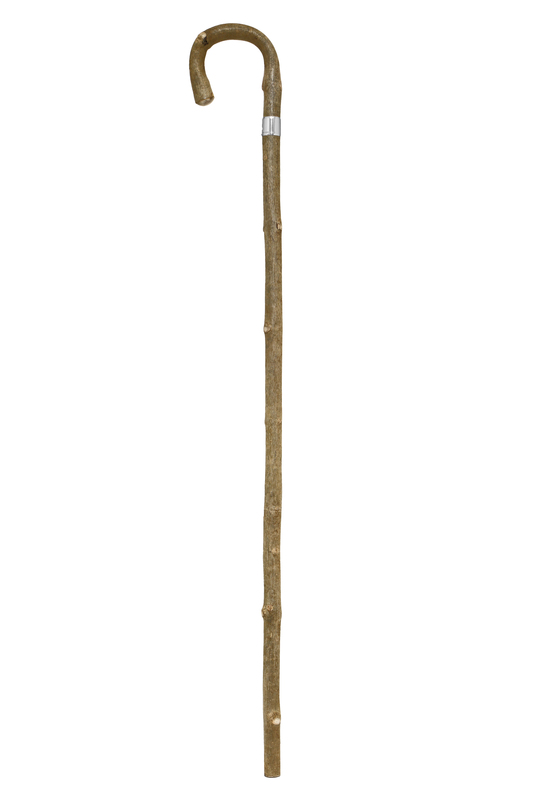 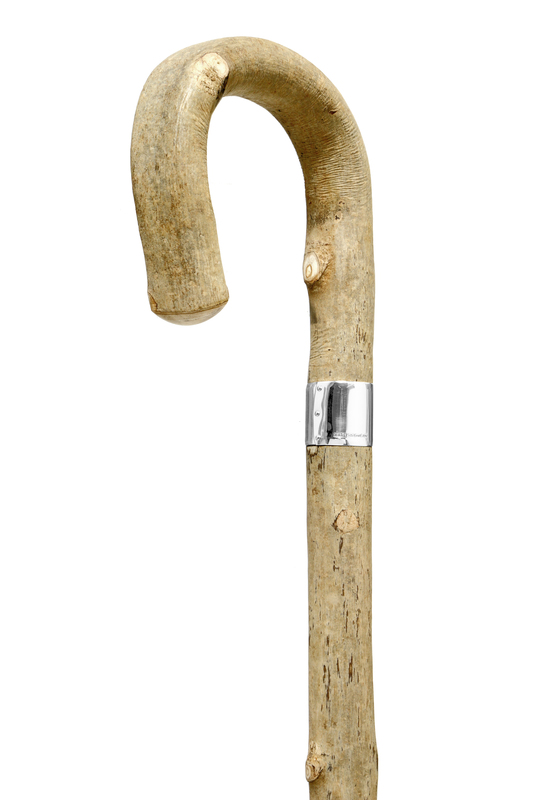 This walking stick can be cut to the appropriate length for the intended user and will be finished with a brass ferrule and an additional bell-shaped rubber ferrule for extra grip on harder surfaces.